Order of operations is an important concept for students to master before progressing in algebra. However, students struggle with it and need LOTS of practice. 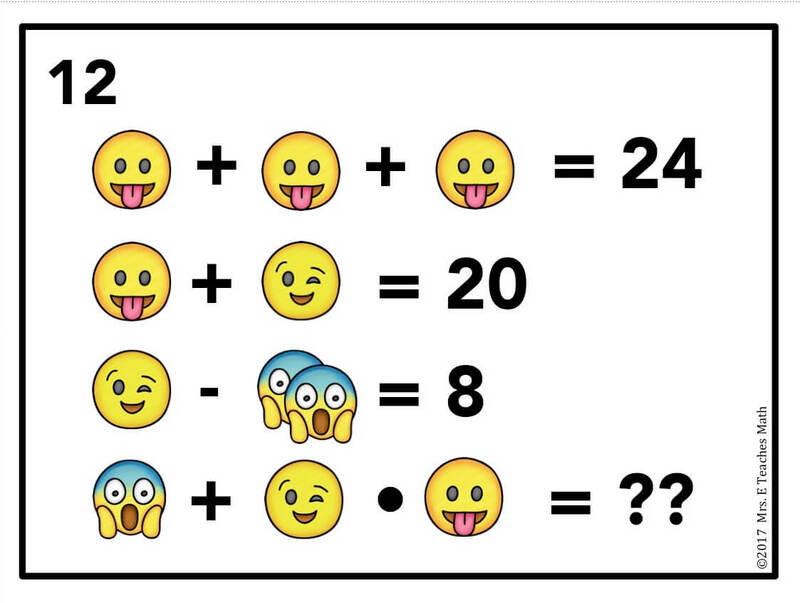 We've all run across the social media posts with the order of operations and seen all of the incorrect answers! 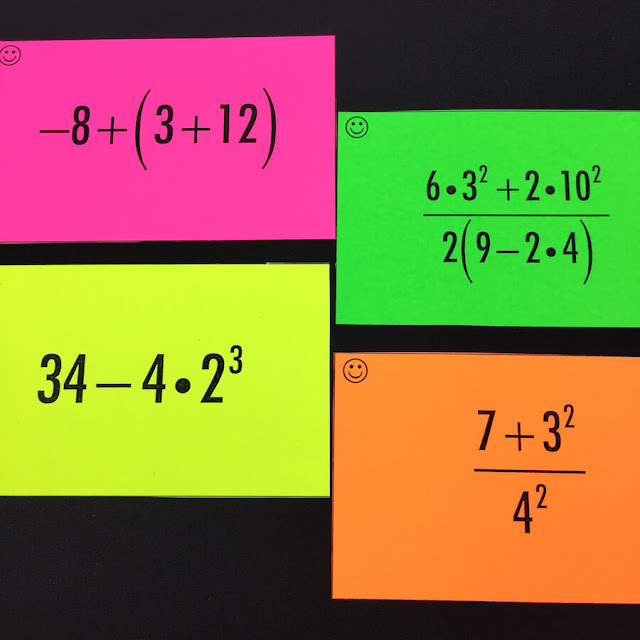 Here are 11 ideas for your next order of operations lesson! 1 - Choose an acronym. Not everyone agrees on the common PEMDAS acronym. 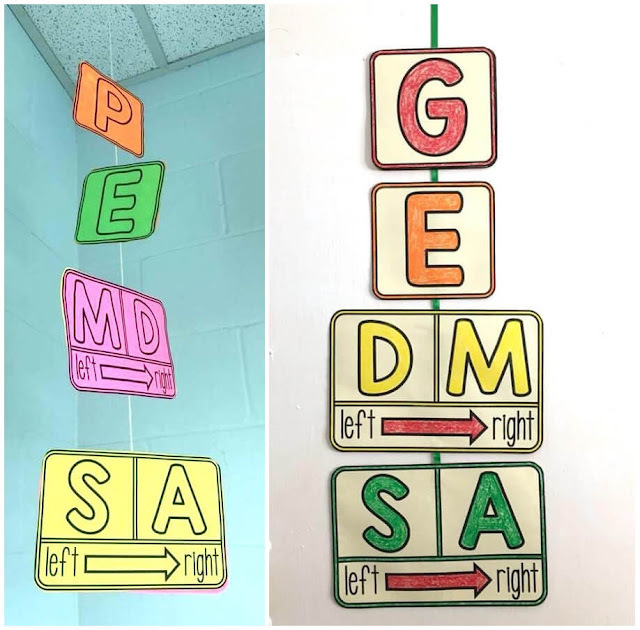 Some teachers think that PEMDAS reinforces the misunderstanding that multiplication must ALWAYS go before division. 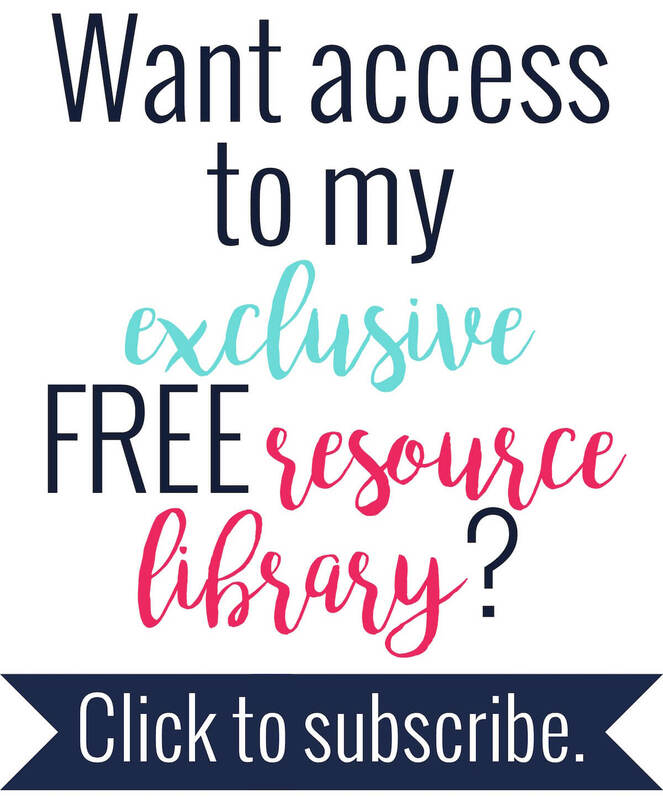 If that acronym doesn't work for you, this blog post may help you find something you like better. 2 - Use a foldable for your class notes. I love foldables and I've seen them keep students attention better than traditional notes. These foldables would be great in your student's interactive notebook! This foldable would be perfect for pre-algebra students and this one is great for algebra students. 3 - Have students practice with a cooperative activity. Sum 'em activities are AWESOME at getting kids to work together. I normally have them work in groups of four. 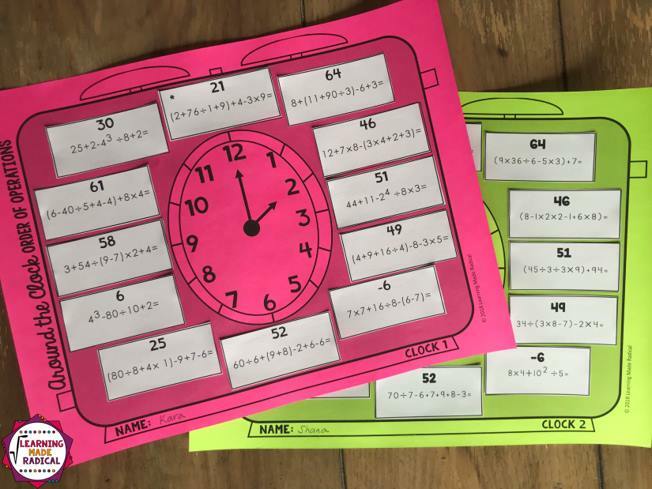 This sum 'em activity for the order of operations is perfect for students that are ready for a little challenge. If you want to have students work in partners, this clock partner scavenger hunt is great! 4 - Let students work on a puzzle. I love having students work on puzzles and card sorts at the beginning of class as a warmup. Students can get settled in class as they are working on the puzzle. This order of operations puzzle is perfect for students to work on in small groups. 5 - Have students complete an individual activity. 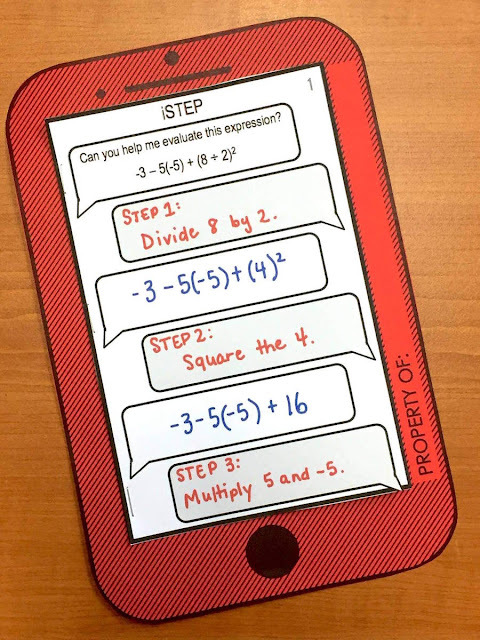 This free order of operations ladder activity is nice for students to work on individually or with a partner. The squares match together like dominos, so students can check their work without constantly asking "Is this right?". 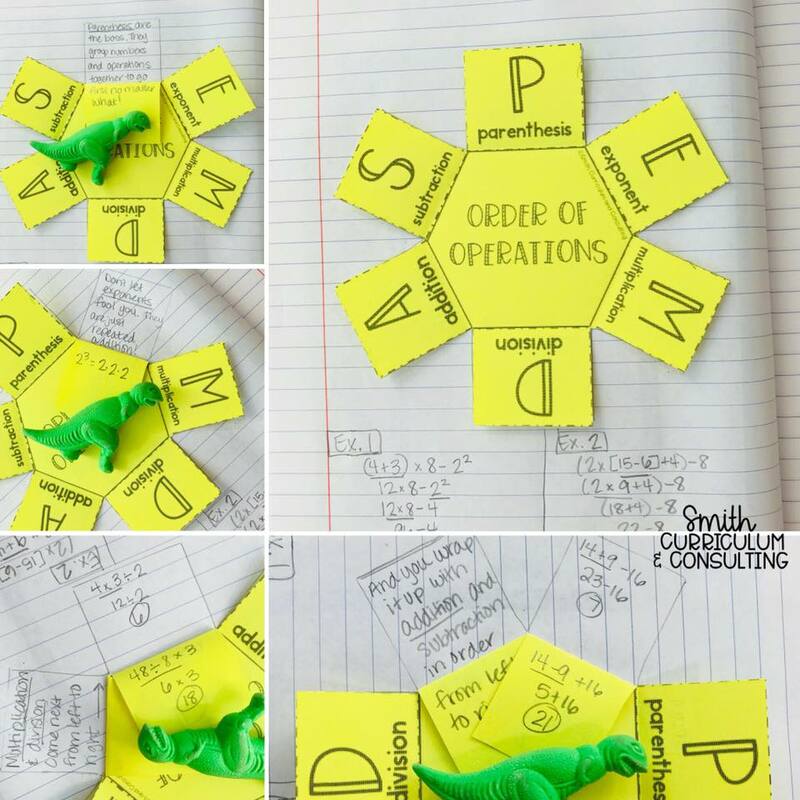 6 - Decorate your room with the order of operations. I love a decorated classroom, even in high school! This blog post has an awesome, free order of operations mobile that just may match your word wall. If you want to have students help, in this activity students "text" the steps of a problem to a partner. Then, you can hang the final product on the wall. 7 - Show students a video. So, this video is SUPER corny, but I totally love it! It's a rap that explains the order of operations in a clear, concise way. Hopefully, it gets stuck in your student's heads! 8 - Have students practice in a fun way. Remember those social media posts that people always mess up? Well, you can have students practice on those social media posts! 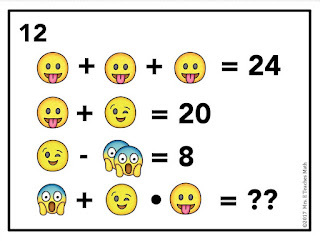 I really like the number sentences that are pictures, like the ones in these emoji task cards. 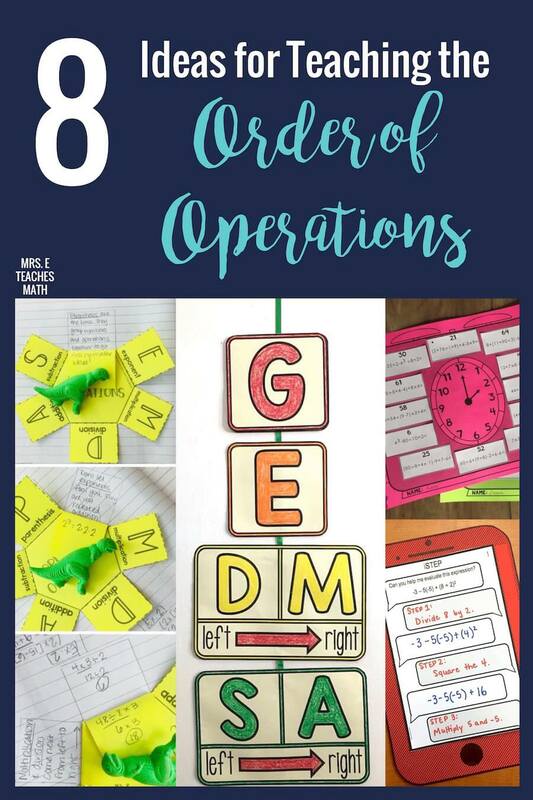 Do you have something special that you like to do when you teach order of operations?